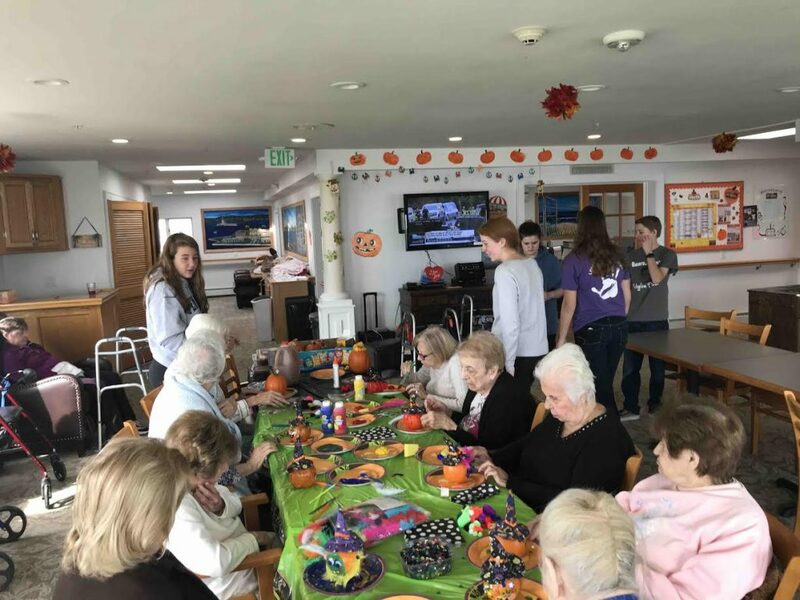 Members of Babylon Junior-Senior High School’s Distributive Education Clubs of America helped facilitate a pumpkin painting event held at the Babylon Beach House on Oct. 20. Under the direction of DECA member Erin Corcoran, a Babylon DECA member for three years as well as an active Girl Scout, the students helped residents decorate and paint pumpkins in celebration of the fall season. The students also handed out snacks and drinks to the residents. DECA is a co-curricular, national business organization with more than 150,000 students which reinforces the skills students learn in their business classes, including, but not limited to, marketing, accounting, human resources, sales and other business subjects. Scott Lockwood, owner of the Babylon Beach House, graciously asked Babylon’s DECA students to return and participate in additional community service events throughout the course of the school year. Additionally, Mr. Lockwood invited Babylon Junior-Senior High School’s accounting class to visit and get a behind the scenes look at the business operations of his successful business. DECA is Babylon’s largest extra/co-curricular club and has dedicated its time and resources to helping out in the community for more than 19 years. Photo caption: Members of Babylon Junior-Senior High School’s Distributive Education Clubs of America curated a recent pumpkin painting event held at the Babylon Beach House.